What is VISION? Stakeholders from every sector stand to benefit from a more complete and efficient method of medical device surveillance. The Vascular Implant and Interventional Outcomes Network (VISION) is a partnership between the Society for Vascular Surgery Patient Safety Organization (SVS-PSO), the U.S. Food and Drug Administration, and the Medical Device Epidemiology Network (MDEpiNet) that aims to develop a better, faster, cheaper method of device surveillance in the vascular device space. VISION works toward this goal by linking the Vascular Quality Initiative’s (VQI) national registry of vascular surgery procedures with Medicare Claims. For patients and the physicians who care for them, reliable data on device performance translates into informed decisions and better care for patients when they need it. For Industry, greater use and acceptability of Real-World Evidence (RWE) to monitor devices post-approval offers the potential for future cost savings and more efficient pathways for reporting and expanded use. Lastly, for regulators, the use of RWE is essential to achieving the desired goal of total life cycle surveillance. What’s next? Although VISION has been successful in using registry-linked claims datasets to study device performance and long-term outcomes of Vascular Surgery procedures since 2012, administrative and logistical challenges related to data use agreements and data sharing remain significant barriers to wider adoption of this methodology. As a public-private entity dedicated to scaling up the use of RWE in device surveillance, NESTcc is in a unique position to help foster meaningful discussion among researchers and administrators in order to lay the groundwork for a shared Vision in which patients, providers, payers, and regulators may all benefit from broader use of Real-World Data (RWD). [i] Columbo JA, Sedrakyan A, Jialin M, Hoel AW, Trooboff SW, Kang R, Brown JR, Goodney PP. 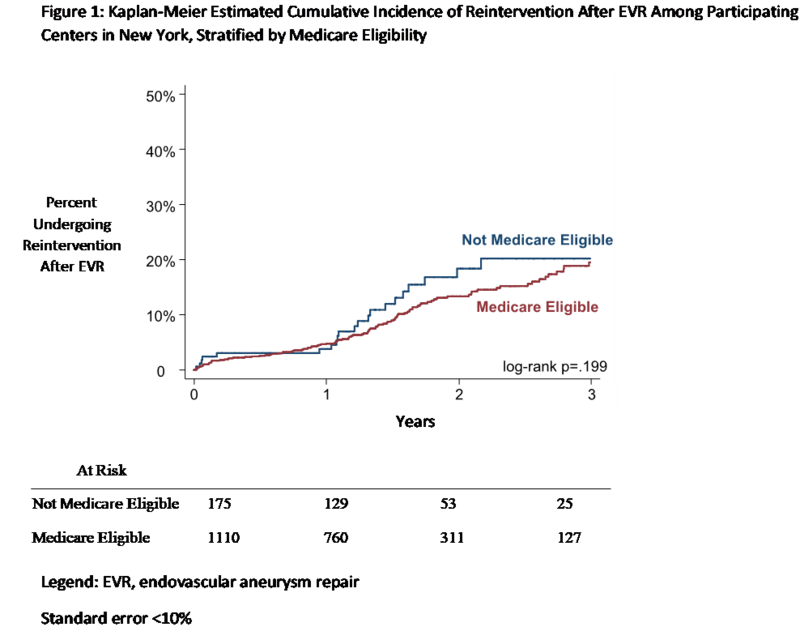 Claims-Based Surveillance for Reintervention after Endovascular Aneurysm Repair Among Non-Medicare Patients. Journal of Vasc Surgery, 2018 (under Review). This blog was written by VISION Project Lead and Principal Investigator Philip P. Goodney, MD. Note: NESTcc Demonstration Projects have funding sources independent of NESTcc.